This ticket allows access to Ardeche Aluna festival on the 27th, 28th and 29th June 2019. Enjoy your experience at Camping Hello Soleil for Ardèche Aluna Festival. Several options are available as Tent Pitch, Hut, Mobile-home and Caravane. 3 Days Pass ticket are per person. 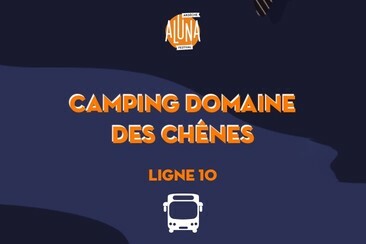 Sites & Paysages La Marette, 3 stars, is located in the South of Ardèche in Joanna, at Massif du Tanargue's bottom in a superbe natural environment This camping-caravaning is admirably in the Ardèche landscape. 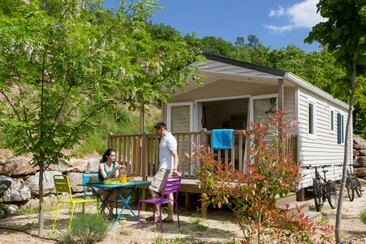 Away from the touristic axes hustle and bustle however really close of all the wonder of Ardèche region. Camping La Marette welcome you at 16pm. You will be able to enjoy all the facilities if you arrive earlier: - swimming pools, bar, restaurant etc. You will need to hand the keys back at 10am the day of your departure. Included: Breakfast. *Minors must be accompanied by an adult. **Barbacue not allowed. 3 Days Pass ticket are per person. A beautiful location of 15 hectares next to a river and full of authenticity, here's a luxurous camping decor. Premium welcome, comfort and gastronomy will be in your agenda. Véronique, Philippe and their team are happy to receive you your friends or your family to enjoy calm during your Ardèchois week-end. Pass 3 days included. Amenities: - double bed and deckreversible - air conditioning - A living room - A shower and a separate WCA - fully-equipped kitchen: fridge, freezer, gas hob, sink and microwave - A semi-covered deck: garden furniture set & sunbeds Each accommodation hire unit is equipped with air conditioning for summer periods and an electrical heater for cold snaps. Keys will available at 3PM. If you arrive earlier you will be able to use all the facilities of Camping les Ranchisses. Also, keys will need to be handed back at 10AM on the day of your departure. 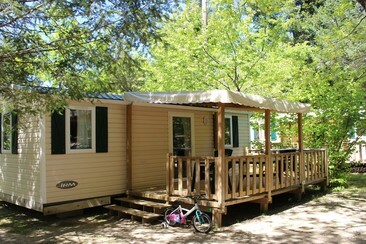 Once handed back, you still can enjoy our facilities. ----- A shuttle ride is organised for you to go to the festival site. It will pick you up at Les Ranchisses entrance : Route du Rocher 07110 Largentière. 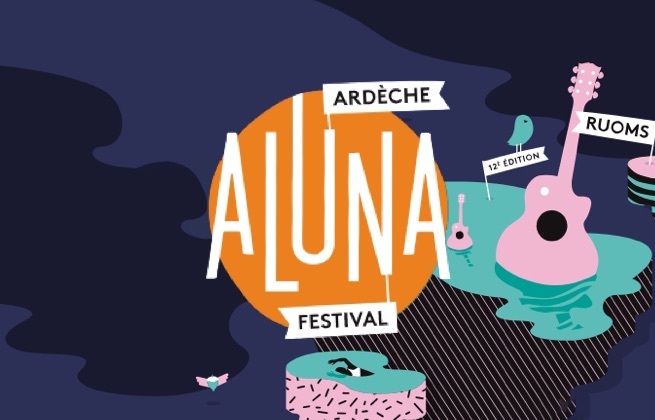 For more than a decade, Ardèche Aluna Festival has been kicking off summer with a weekend of eclectic musical performances in the South of France, just outside the rural town of Ruoms. Strongly committed to its independent spirit, the festival promises to offer a human approach, treating festival-goers as members of their broad community rather than simply as consumers. As such, the annual event has become known throughout the region for its inclusive atmosphere that welcomes music fans of all ages. And this broad appeal also extends to the lineup, which is just as likely to feature exciting new stars of hip hop as it is veterans of rock both from France and from further afield; with the likes of Iggy Pop, Lou Reed and The Libertines on the list of past performers. The festival takes place just outside the rural French commune of Ruoms, around 100km north of Montpellier.